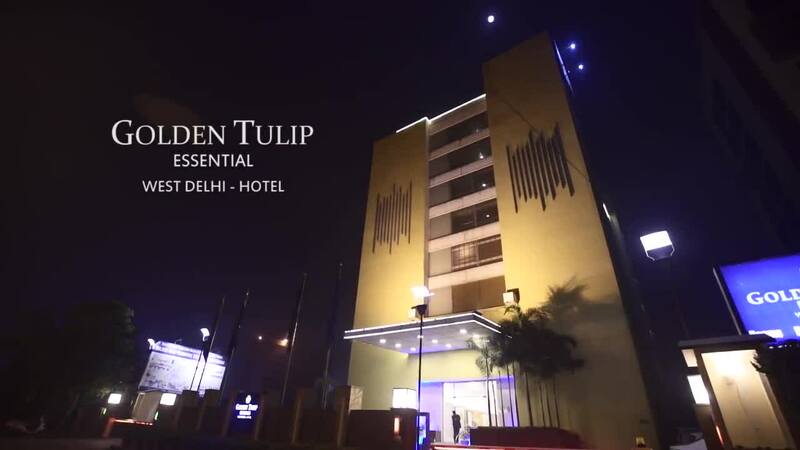 Golden Tulip Essential - West Delhi offers cozy and serene accommodation for travellers arriving in the Indian Capital. The hotel has a delightful ambiance and is located in proximity to New Delhi's commercial and entertainment hubs. The hotel acts as a relaxing retreat for travellers by offering top-quality hospitality services. The hotel's superior banqueting spaces make it one of the best places for weddings, corporate events, and conferences. The hotel is located at a convenient distance from the Indira Gandhi International Airport, adding further value to the accessibility factor of your stay. There are 70 intricately furnished rooms at Golden Tulip Essential - West Delhi. We offer the rooms in two configurations, double bed and twin bed, to cater to the varying preferences of our guests. The rooms are airy, naturally lit and comfortable, offering plush furnishings and an appealing decor. The rooms are equipped with all modern amenities to make your stay in New Delhi, enjoyable and hassle-free. The Golden Tulip staff members are always considerate and prompt in their service, complementing your events with their expertise. Golden Tulip Essential also has an in-house restaurant - Cafe Tulip. The multi-cuisine restaurant offers delicious platters from a global menu of delicacies and has a comfortable and inviting ambiance. We also have a range of banquet halls and meeting rooms for private and corporate events. The halls are air conditioned and have been adequately equipped for organising business events in New Delhi. The hotel was clean. They have maintained a standard. The staff was friendly and cooperative. As a part of the professional event, appropriate communication was displayed there. Hotel is quite comfy. Easy to locate. Staff are very courteous and accommodating. The service is wonderful. The place doesn't feel like a 3 star hotel though. Golden Tulip is a 3 star hotel which is located in Hari Nagar. It is 3 km away from Subhash Nagar Metro Station. I went there for an interview. The staff was courteous and well informed. Golden Tulip arranged my brother's wedding ceremonies - Mehendi and Sagan Night. It was a pleasant 4 days stay here. Staff members are very co-operative and become like our family during our stay. Hotel was very neat and clean . staff was very freindly and Professional. good food excellent service from Service.